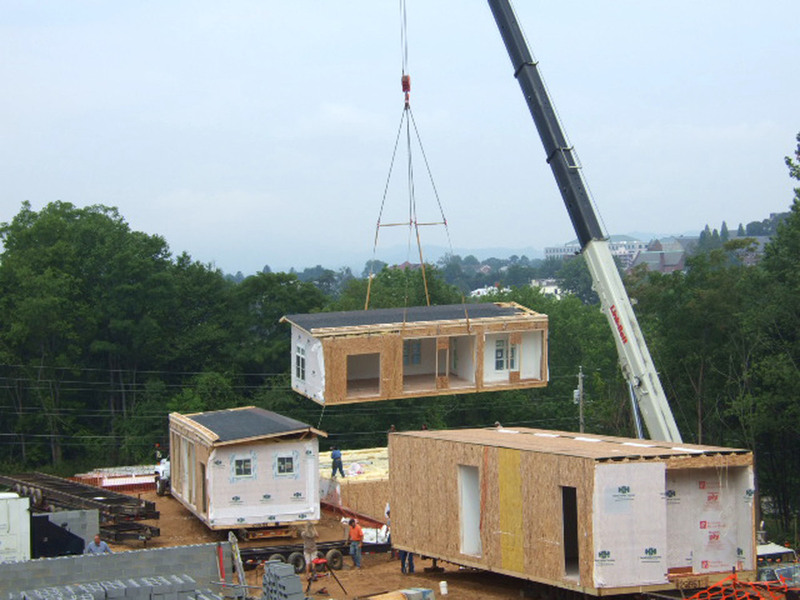 Modular in construction, the condominiums range in size from one bedroom to three bedroom penthouses with walk out roof decks. Details include concrete countertops handcrafted by local artists, durable bamboo and cork flooring, and glass sliding walls off the living room that allows for a fluid, loft-like space for entertaining or to separate rooms for privacy. This project received full Healthy Built Home Certification for its sustainable design.